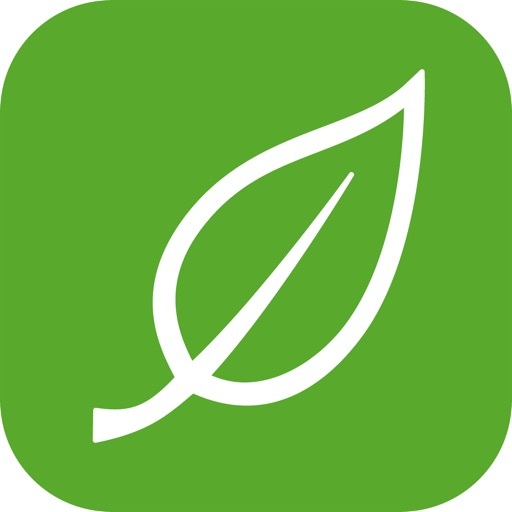 Basil is a recipe manager app that is packed with a ton of useful features and looks gorgeous, too. Simple and clean. 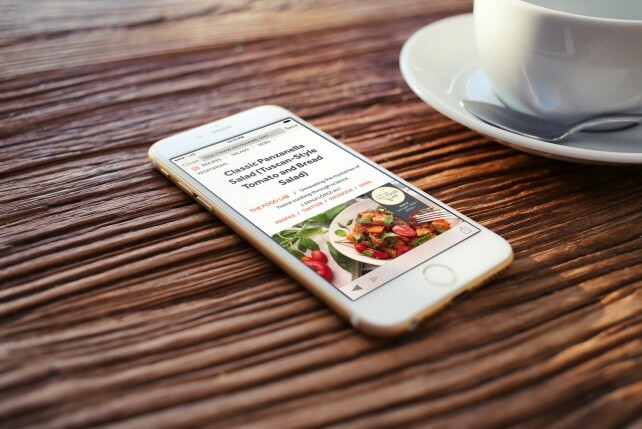 Basil is a gorgeous way to view and manage your recipes on iPhone and iPad. Smart grocery lists. Basil organizes your shopping list by aisle, and offers healthy alternatives. Basil is a recipe manager that is as functional as it is beautiful. 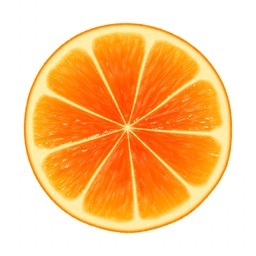 Users can use the built-in browser to find recipes online, save them directly into Basil with the proper formatting for ingredients and directions, organize them into categories, and use the "Smart Timers" to make sure you're cooking things for the proper amount of time without having to switch apps. On top of that, Basil can create grocery lists for you based on the recipe you want to cook, and they're organized by aisle so you don't have to make multiple rounds throughout the store. 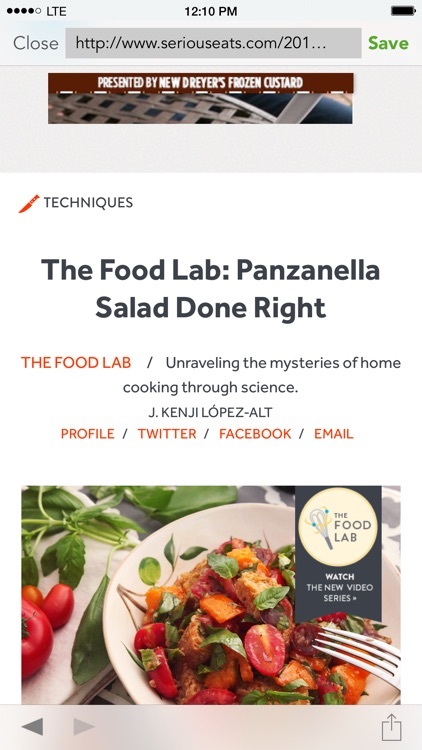 Plus, each recipe's text color depends on the photo that you save with it, and there is seamless iCloud syncing so you can access your favorite recipes across multiple iOS devices. Basil is both beautiful and functional. It's a great option for those who need to organize their recipes but want something that looks good at the same time. Discover great new recipes from the web, add your own, and get cooking tonight with Basil! 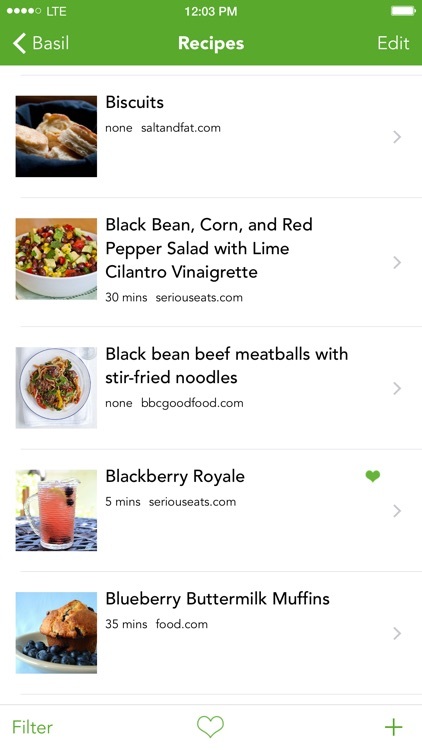 Basil helps you find recipes, organizes them for you, and makes cooking easier. "Basil has reinvigorated my love for cooking." "It is clear that Kyle designed every single detail of this app for practical simplicity." ◆ Basil is designed for your iPhone and iPad to make cooking easier, and keeps your recipes and grocery list in sync with iCloud! 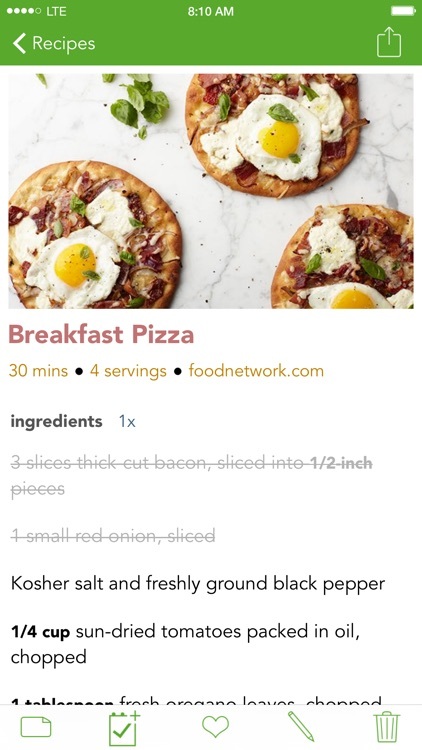 ◆ Search the web's best recipe sites all at once and save recipes from them with just one tap! 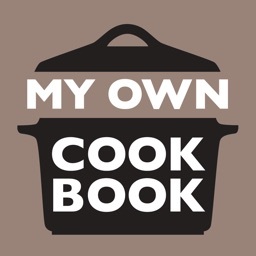 ◆ Add your own personal recipes, too, so your favorite recipes are all in one place! ◆ Basil makes shopping for the next meal a cinch. Add recipes to your grocery list, and Basil sorts them by aisle. Even better, Basil suggests healthier substitutes for certain ingredients! ◆ Auto unit conversion. Choose your preferred units (American or metric) and Basil will convert recipes for you. If you're in the UK and save American recipes, Basil will convert all those pesky cups and teaspoons to metric units for you! ◆ Cross off ingredients as you cook, and Basil will turn them gray so your eyes are drawn to the ingredients still left to use. ◆ Take notes! 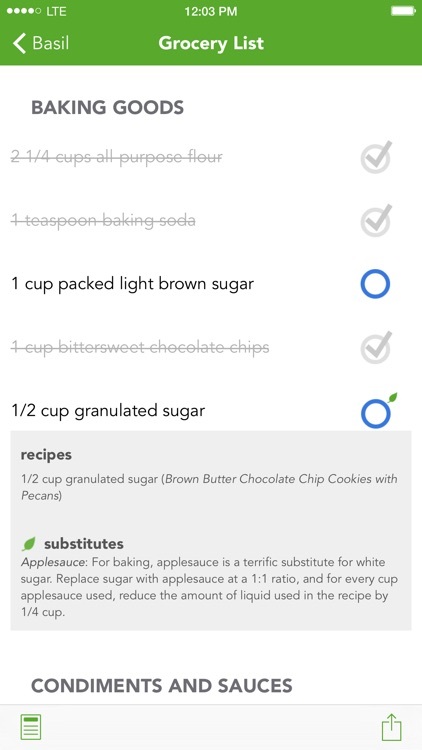 Add your own adjustments and notes to each recipe so you know exactly what to do each time you cook. 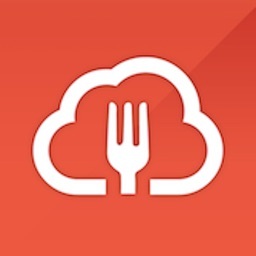 ◆ Organizes your recipes for you! 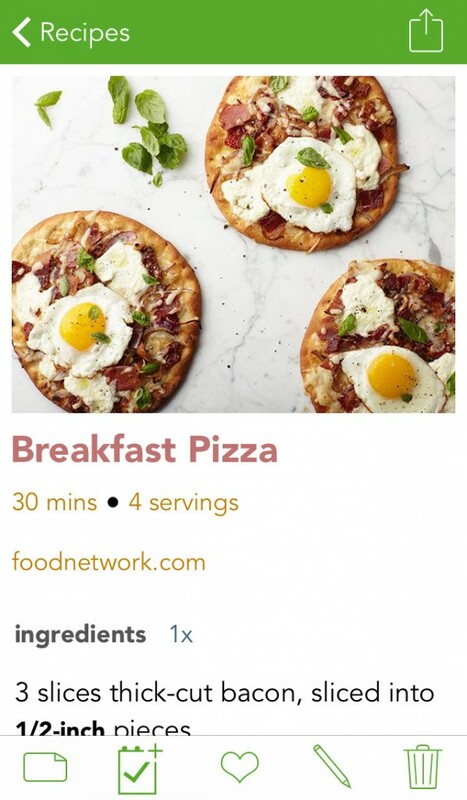 Recipes are automatically tagged by ingredients and setting the meal and cuisine type is quick too, so you can do things like see all of your breakfast recipes with bacon, or see your Chinese recipes. 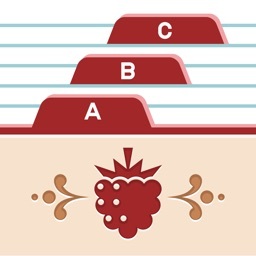 No need to spend time making folders! 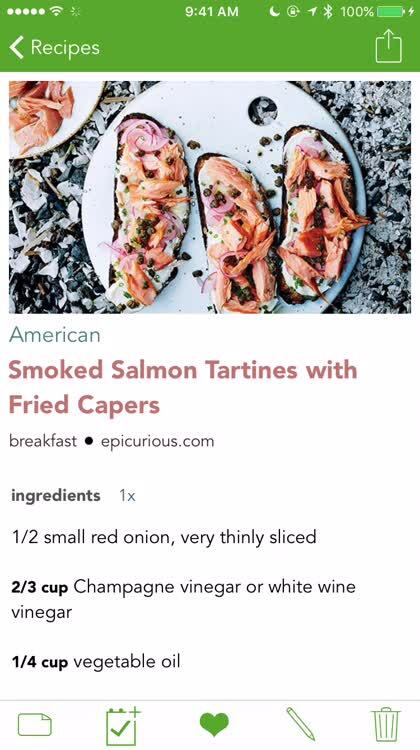 ◆ Browse your recipes by big, beautiful photos! It'll get you inspired to cook (and hungry!). 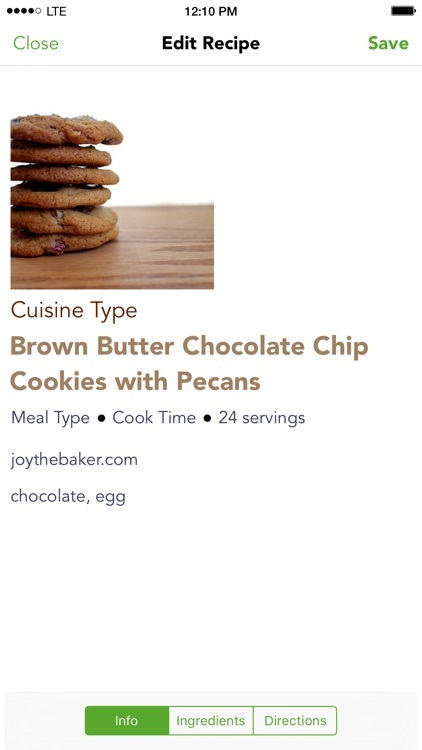 Basil makes it easy to find new recipes with its special quick-search feature, and organizes them for you. Each new recipe is tagged with its main ingredients, and adding cuisine and meal type is a snap. You can find just the recipe you're looking for by sorting according to favorites, cuisine type, meal type, or main ingredients. Or you can just search them, using full-text search. Basil even makes cooking easier. 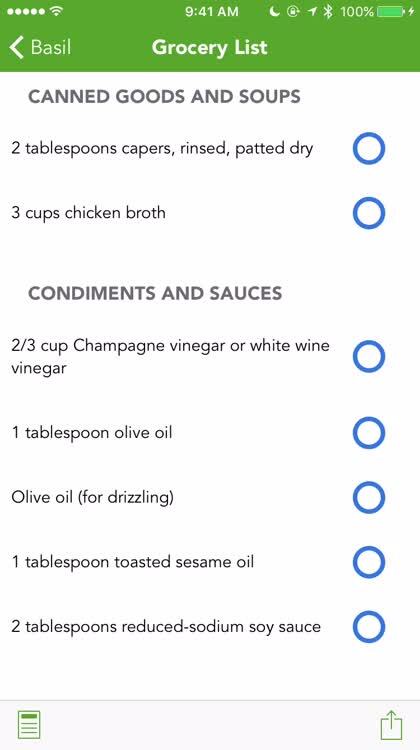 Directions and ingredients are easy to read at a glance, and any time-based directions ("sauté for 5 minutes") are turned into buttons which start a timer, so you don't have to fumble with a separate timer. You can cross off ingredients as you cook, and Basil even converts units for you automatically. Thank you for your support! If you love Basil, please consider leaving a review. If you have any issues, please email [email protected] We have no way to contact you if you explain an issue in a review. Basil's latest update makes it a universal app and one you shouldn't miss. Something smells good in the kitchen; you must be cooking with Basil.